Waterfront development, public access and environmental initiatives were among the major topics of last year. Speaking of hindsight, the year that just finished was more than noteworthy, particularly for anglers, boaters and others who enjoy the ocean. The year that was 2018 was headlined by several major issues, which The Log reported on throughout the year. Many of the major headlines will continue to be closely watched stories in 2019, so let’s quickly review what happened last year. The potential return of new offshore drilling opportunities off California’s coast actually dates back to 2017, when Pres. Donald J. Trump’s administration advanced a proposed policy to renew oil exploration activities in federal waters. California’s executive and legislative leaders immediately pushed back, passing and implementing resolutions in opposition of Trump’s plans. Will California be able to prevent new offshore drilling opportunities off its coast? This upcoming year could provide answers. The 2018 calendar year literally ended with the swift stroke of a pen, as Trump signed into law the Modern Fish Act, a landmark piece of federal legislation many advocates hail as a victory for saltwater anglers across the country. Those in favor of the new law have consistently stated the Modern Fish Act would improve fishery management tools and offer greater opportunities for saltwater anglers. Opponents, however, pushed back by stating the Modern Fish Act would actually reverse protections against overfishing already in place. We’ll see how the new law plays out in 2019. The Port of San Diego finally committed to address an issue many thought it had ignored for years: illegal charters. Port district staff convened a workshop to address illegal charters and hinted a policy proposal could be on the table by the end of the year. The end of 2018 came and went, and yet a policy proposal has yet to be offered – but there is chatter something could be presented within the first few weeks of 2019. Illegal charters occur when boating-themed businesses circumvent established regulations limiting the operation. Mexico’s commercial fishing industry has been under a microscope in recent years due to the rapidly dwindling vaquita porpoise, which exclusively reside in Mexico’s upper Gulf of California region. The most recent estimates show fewer than 30 vaquitas exist in the world. A few courts, in attempt to reform commercial fishing activities in the vaquita habitat, implemented and upheld a ban on seafood caught by drift gillnets in the upper Gulf of California region. The ban has carried over into 2019. Paralleling the ban was a one-million-postcard campaign spearheaded by aquariums across the United States, including the one in Downtown Long Beach, to urge Mexico’s new political leadership to be more proactive in protecting vaquitas. The collected postcards were sent to the Mexican consulate office at San Diego in late December, and then relayed to Mexico Pres. Andrés Manuel López Obrador at the beginning of this year. Is 2019 the year the vaquita begins to rebound from its endangered status? California still sells annual fishing licenses that expire on Dec. 31. A state senator from California’s Central Valley spearheaded legislative efforts to change this fishing licensing system to a 12-month scheme. Each of his three attempts, including most recently in 2018, failed to make it out of the legislature – despite widespread support to implement a 12-month system. The senator has since been termed-out to office, meaning California’s anglers will have to hope some other legislator comes along and picks up the mantle. California finally implemented its boater card requirement in 2018. All boat operators on state and local waterways will be required to have a boater card, which functions similar to a driver’s license, by 2025. Boaters between the ages of 16 and 20 were the first group to be required to possess the California Boater Card (though other age groups were and are eligible to acquire the card between now and the 2025 deadline). The dawn of 2019 means those in the 21-25-year-old bracket are now required to possess a California Boater Card in order to operate a recreational marine vessel. Next year anyone between 16 and 35 will be required to possess the card. San Diego trailer boat owners lost a major piece of infrastructure in 2018 when the Shelter Island Boat Launch Ramp was shut down for full-scale renovations. The boat launch ramp was supposed to be closed for a few months and be re-opened in time for the 2018 boating season. Delays, however, kept renovation work going on for the entirety of 2018. Port of San Diego staff announced launch ramp would re-open on Dec. 21, 2018, allowing trailer boat owners to begin finally access the waterway entry point just before the start of 2019. 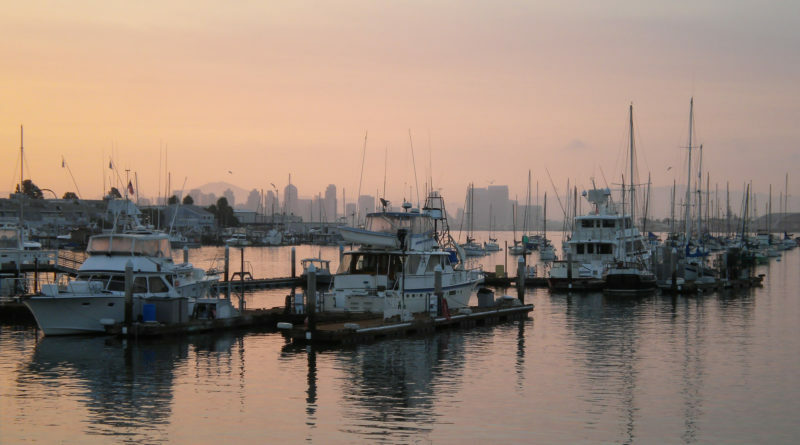 Orange County has been pining to revitalize Dana Point Harbor since 1997. After more than 21 years of discussions the planned renovations received a jolt in the arm when county officials and a group of developers came to terms on a 66-year lease. The public-private partnership led to the creation of a new company called Dana Point Harbor Partners, a firm tasked with building out the revitalization. Will 2019 be the year Dana Point Harbor finally starts to see the first elements of its planned revitalization become reality? Billionaire Vinod Khosla owns a beachfront property near Half Moon Bay, just south of the San Francisco Bay Area. Beachgoers had used a portion of his land to access the local coastline – called Martins Beach – for years. Khosla hoped to put an end to the practice, taking his grips as a property owner all the way to the Supreme Court. He claimed his personal property rights trumped the public’s constitutionally guaranteed access to the beach. The Supreme Court ultimately decided to not hear Khosla’s claim, meaning the public’s right to access the beach remained intact. Will Khosla find another way to assert his private property claims in 2019? Plans to revitalize the dilapidated Redondo Beach Harbor returned to square one in 2018, as a grassroots stand against developer CenterCal’s plan to build a large scale waterfront project proved to be successful. A group of NIMBYs spoke out long – and loud – enough to eventually scare CenterCal away from realizing its original version of the King Harbor revitalization. With a new year comes the prospect of a new plan, however. Will Redondo Beach’s city leadership be able to come up with a set of plans to satisfy boaters and local residents? Environmental issues are almost always controversial. Sea level rise is no exception. There are those who question whether sea level rise is happening at all (or if humans truly contributed to the phenomenon). Several public agencies, nonetheless, began looking into how they would address sea level rise. The California Coastal Commission, for example, updated its sea level rise policy in 2018. Other agencies to discuss the prospects of sea level rise were: the city of Avalon; Santa Barbara Harbor; Port of San Diego; and, the city of Newport Beach. Sea level rise will continue to be on aplenty of public agency agendas in 2019.